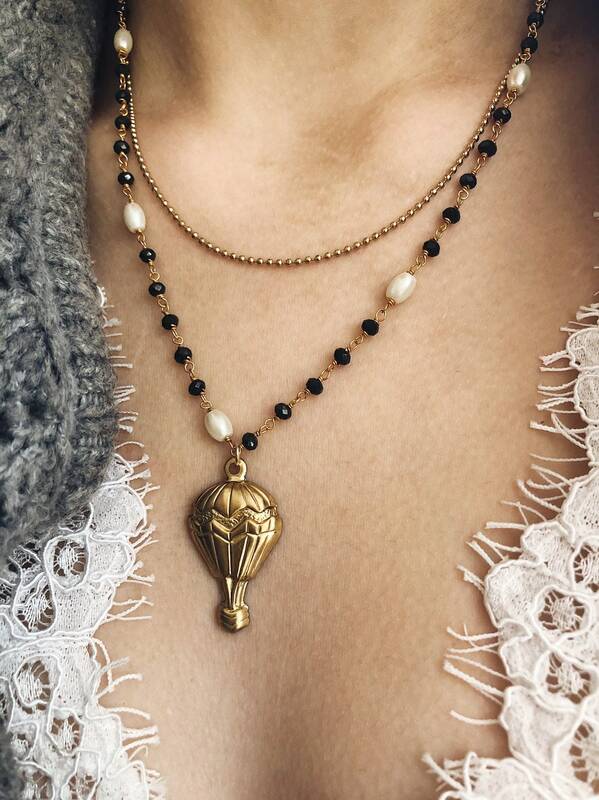 The necklaces for sale are made of double strand with brass rosary chain with beads and raw brass chain with balls. 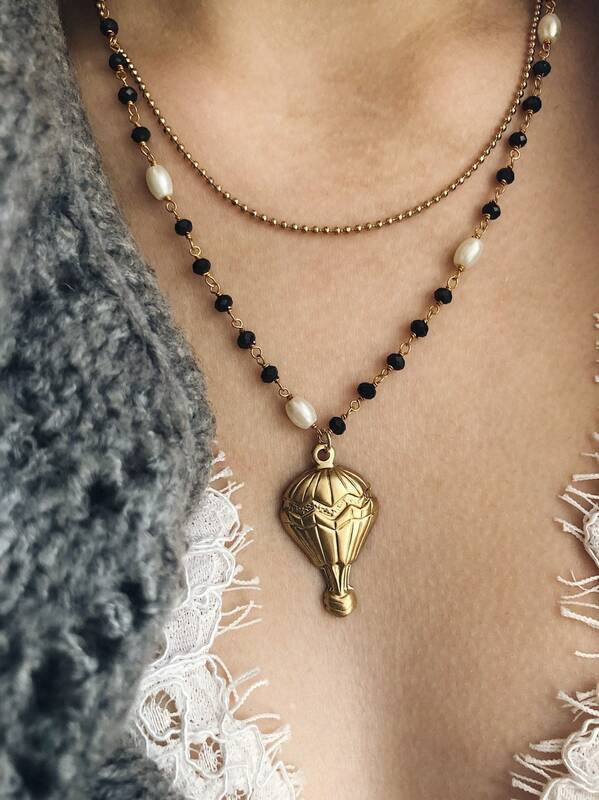 The pendant is a brass hot air balloon. Closures and hooks in 925 silver, wet yellow gold. 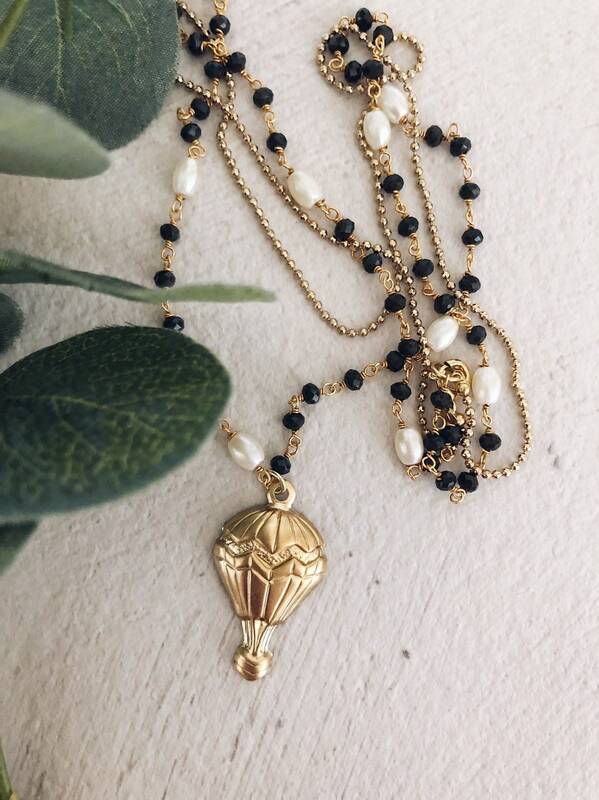 The necklace is 40 cm long for the golden brass chain and 45 cm for the chain with rosary.